Our main work revolves around generating funds and resources that will be used to finance the programs of our partners. Individuals and corporations share in our cause by making generous financial and in-kind contributions for the benefit of the public we serve. Our Social Service Program enables less privileged Filipinos equitable access to world class medical services of St. Luke’s, at little or no cost to them. More often, the poor seek medical services from public hospitals and healthcare facilities, which are often congested and have inadequate resources to provide them the best medical care possible. Our program will ensure that more indigent people can be reached, making positive impact on their lives. Out of the yearly average 90,000 outpatients being served by MSSD, about 3,000 are admitted as in-patients, with cases ranging from cataracts to cancer. 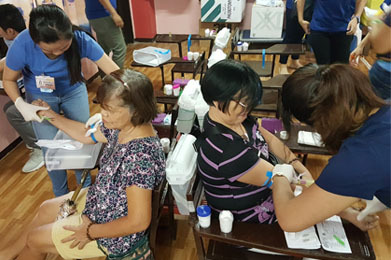 Aside from this, St. Luke’s Medical Center Foundation, Inc. also supports community health programs such as free clinics and health advocacy campaigns and training in urban poor communities. The Medical Education Scholarship and Continuing Medical Education Program benefit the students and doctors of the St. Luke’s College of Medicine-William H. Quasha Memorial and the St. Luke’s Medical Center. 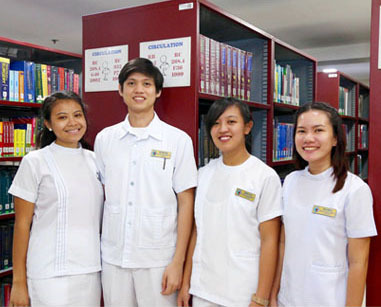 We provide 100% funding for the tuition fees, books, laboratory and miscellaneous fees of students for the full four years of medical education, provided they qualify to the program and they maintain requisite grade averages every semester. Students are stringently screened for both their academic abilities and for their family’s incapacity to pay for their medical education. 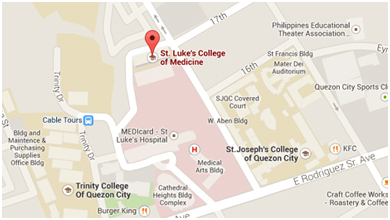 We support the continuing medical education program of St. Luke’s for physicians who may want to pursue clinical fellowships, short-training courses, or post-graduate degrees to further their medical know-how and skills. The additional training will equip our healthcare professionals with the skills necessary to provide the best care possible for Filipinos, including less fortunate countrymen. Download scholarship application form here. The Foundation gives financial, professional and material support to medical outreach programs so that quality healthcare reaches the marginalized sectors of our society or the people of underserved communities around the country. These are in the form of free clinics, community adoption and development programs, health advocacy campaigns, and charity donations. 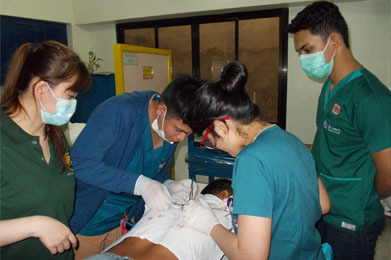 Under this program, doctors, nurses, personnel even resources of St. Luke’s are brought to the different communities around the country to promote and provide adequate, if not superior, medical care to those who have no access to but most need it. The Foundation bestows grant to promising innovative medical researches by the doctors, scientists, and clinicians that will endeavor to the discovery or improvement of cure, treatment or management of diseases. 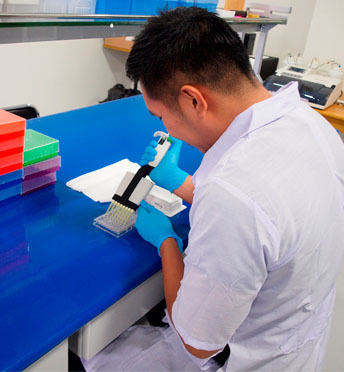 This program is borne out of the fact that funding for Research and Development in developing countries like the Philippines is generally insufficient. The Foundation aims to bridge the gap by supporting scientific and medical undertakings that will redound to giving public health a big impact.